[dropcap4 variation=”primary_red”]V[/dropcap4]ampires, they’re quite a famous villain are they not? Cliches aside, their fame comes with good reason as they not only combine the the intrigue and fear of the unknown with inhuman strength and at times very human emotions, they are seductive plot hook factories. Not just within the D&D world either, centuries of folklore have cast these sanguine fiends into our history as everything from feral saw toothed (literally) blood thirsty creatures of the night, to eloquent and dapper souls bathed in the torment of facing eternity alone, sparkly emo kids and Transylvanian terrors. Vampires are virtually embedded in culture the world over in one form or another, all that being said I’m one of those who’s a sucker for them. I’m really a [tooltip width=”132″ trigger=”sucker”]Vampire Puns! 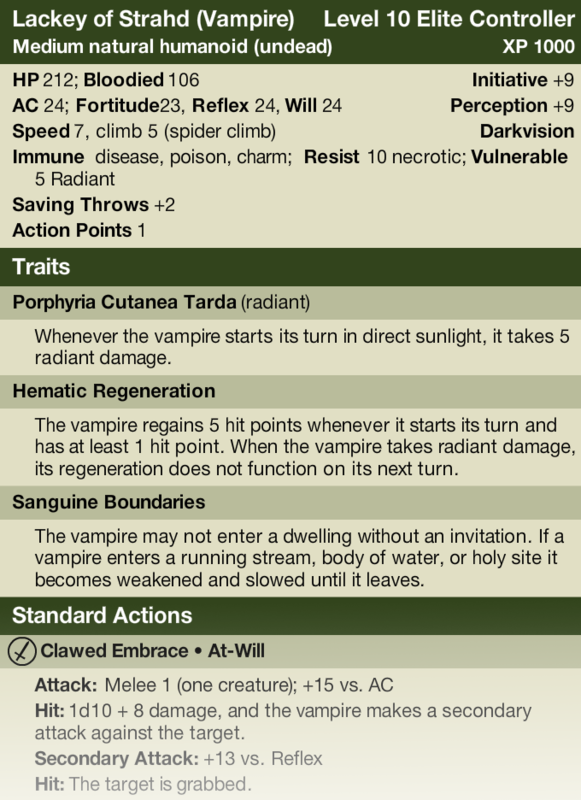 [/tooltip] for horror in general but vampires are in my ‘upper echelon of awesome’, specifically the Count Dracula stereotype. This alone should explain my love and current obsession with the Ravenloft campaign setting. The fact that the setting was way before my time makes me feel as if perhaps my attempts at converting it bit by bit to 4th edition D&D may seem unfaithful to some, but rest assured I’m absorbing Ravenloft lore like a sponge and trying my hardest. Of all the old campaign settings it has captured my attention with a vengeance and only marginally surpasses Planescape on my list of “Best Settings Ever” and “Stuff WotC needs to recreate for 4e”. I hope the Ravenloft content here is useful to someone, somewhere – if you absolutely love it or hate it pleas tell me via comments, twitter or on my facebook page. Also please bear in mind that the mechanics and theme behind this monster are directly inspired from the Ravenloft universe, particularly the 2e stuff. 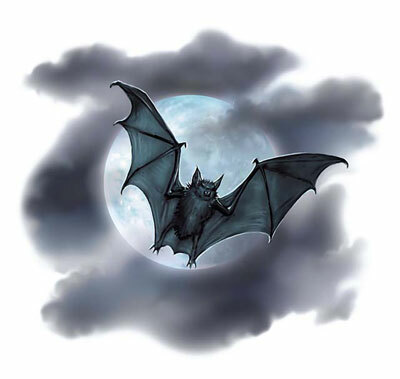 If you are unfamiliar with it, it was commonplace that vampires had a lupine form as well as their more widely accepted bat and a mist forms. I’ve tried to convey thematic narrative elements within the mechanics that should paint quite the nocturne of a Barovian vampire without having to write a couple hundred words of back story fluff. Though if fluff is something you’d be interested in reading then let me know in the comments below. Enjoy, and drink deeply my friends. Very cool vampire. I like it! I like this a lot – thinking about replacing Fangren from ‘Den of the Destroyer’ (Dun160) with this! However, that healing power is a hang-up: as an elite, it already gets HP aplenty. Perhaps change to the AD&D draining attack: a healing surge off, maybe 2? Oh poopie, I see in the Exsanguination power that it’s supposed to be both Reliable *and* have a miss effect? That’s failsauce on my behalf, how did I not catch that. Thanks for the input, again. Gonna drop these changes in today! And one last thing… when I saved the stat block, it came up as 9″ wide and … 44″ long! I print out stat blocks on 4×6 index cards, and well that just won’t work for this guy! Oh right! Gonna implement changes once I get back home tonight. Ill also put up a rtf version for printing simplicity!